It looks like Hallmark is headed back to Chesapeake Shores soon. Recently, writer Sherryl Woods announced season two of the TV series will premiere in August. Based on the novels by Woods, the drama follows a high-powered career woman, divorcee and mother of twin daughters who makes a trip from New York City to her hometown and comes face to face with her past. The cast includes Meghan Ory, Jesse Metcalfe, Treat Williams, Diane Ladd, Laci J. Mailey, Emilie Ullerup, and Barbara Niven. On Facebook, Woods revealed season two of Chesapeake Shores will premiere on Hallmark Channel on August 6th. Meanwhile, season one of the TV show will be available to buy on DVD beginning August 1st. What do you think? 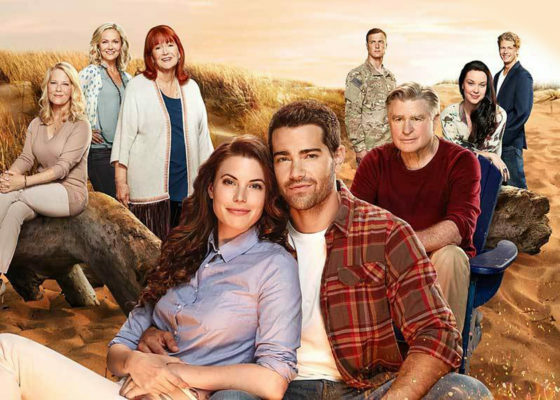 Are you a fan of Chesapeake Shores? Will you watch season two? Love, love Chesapeake Shores….please don’t stop…. Having read the books I find the TV series VERY disappointing, & NO, I won’t finish watching the first series & WONT watch the 2nd series. Many of us enjoy seeing the waters and the beautiful homes along with the romantic series both younger adults as well as older !! Can’t wait for Seaon 2 of Chesapeake Shores! Absolutely delighted for season 2! Best show on TV as far as I’m concerned tyvvvm for bringing it back!! I am so happy that Chesapeake Shores is coming back. It is a wonderful show and a bright spot in TV amid so many shows that do not interest my family. Thanks so much for renewing this one. Wonderful actors/actresses also! Am really looking forward to season 2. Just loved last season. Couldn’t wait from one week to the next. Love this show!! Can’t wait for August!! I can’t wait for season 2. Great show!